Ummm, no. 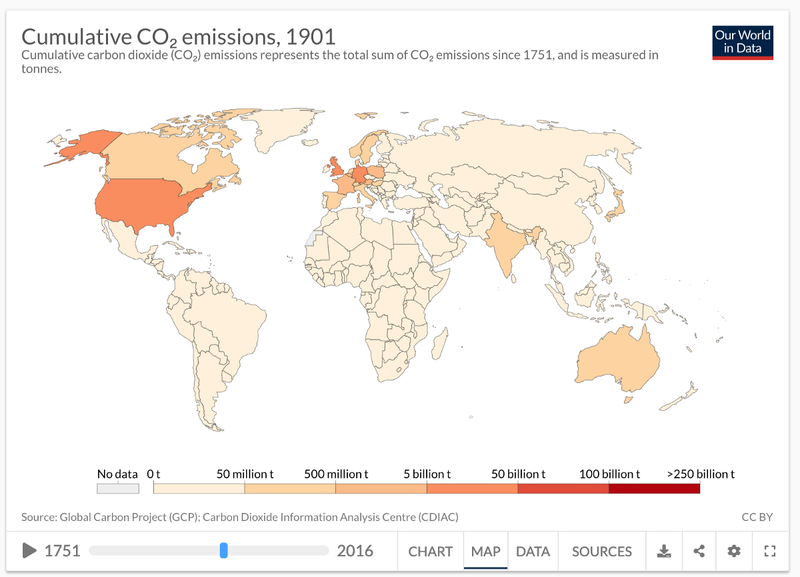 It takes 200-300 years for CO2 to leave the atmosphere and the USA is responsible for more than any other single country. By 2016, it was a hair under 400 billion tons of CO2 cumulatively. 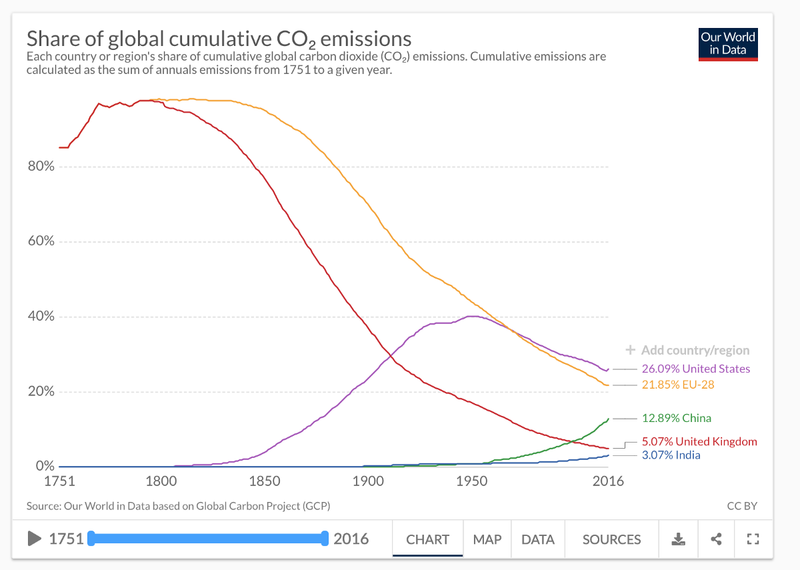 Evil baddy China was less than half the total historical cumulative emissions of the USA with four times the population. As of that point, any eight Chinese people might share about as much culpability as a single American. This percentages chart illustrates it nicely. 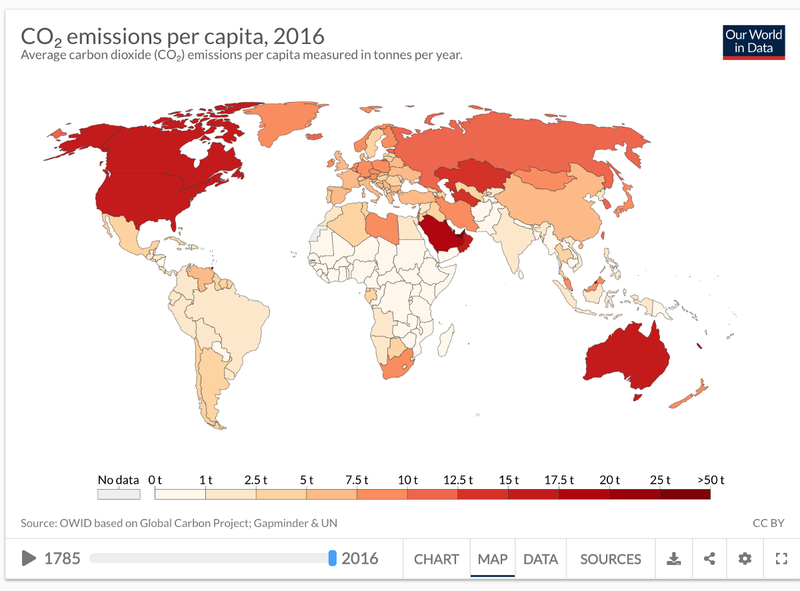 As of 2016, the USA had contributed more CO2 than any other country or even region. The only grouping close was the EU and its 28 countries, including the coal and industrial heavy regions. You have to put 28 countries who were among the first to industrialize together to get close to US contributions. China’s net contribution is less than half of the USA’s. India’s contribution is an order of magnitude smaller. But the USA has cleaned up its act, right! It’s a good citizen of the world with really low emissions now, right? Pull the other one. 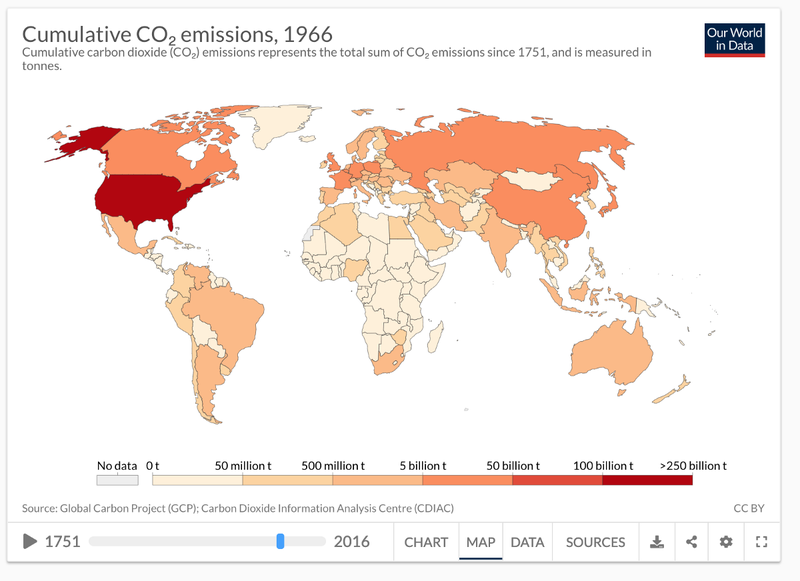 While USA’s emissions have slowed, it’s still emitting over 5 billion tons a year. 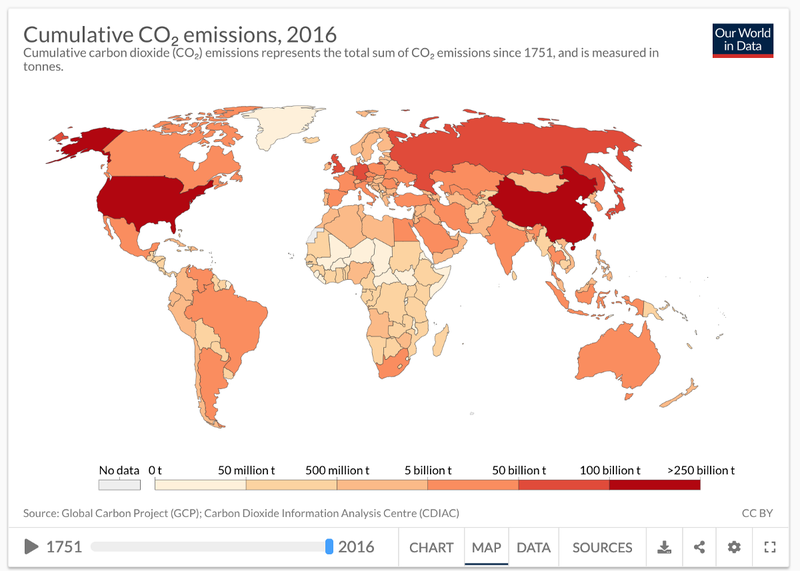 China’s definitely the leader on a country scale with roughly twice the emissions. But remember, China has four times the people. Once again, that moral calculus suggests each American is as culpable for today’s emissions as two Chinese people. And India is at half of the emissions of the USA annually with once again four times the people. Yeah, India’s the problem for sure. Half the emissions and four times the people and the USA has clean hands? Let’s look at that per capita view a bit more, shall we? Yup, some ugly colors there. Saudi Arabia is a bit worse per capita than the USA, and Australia is literally a hair worse. Canada, where I’m sitting right now, doesn’t have a good look either, and some of the ‘stans are pretty bleak. China? India? Barely visible due to the light shading per capita. And what, pray tell is China doing? Let’s take a look at annual generation of electricity in terawatt-hours (TWh) to get a sense of scale. 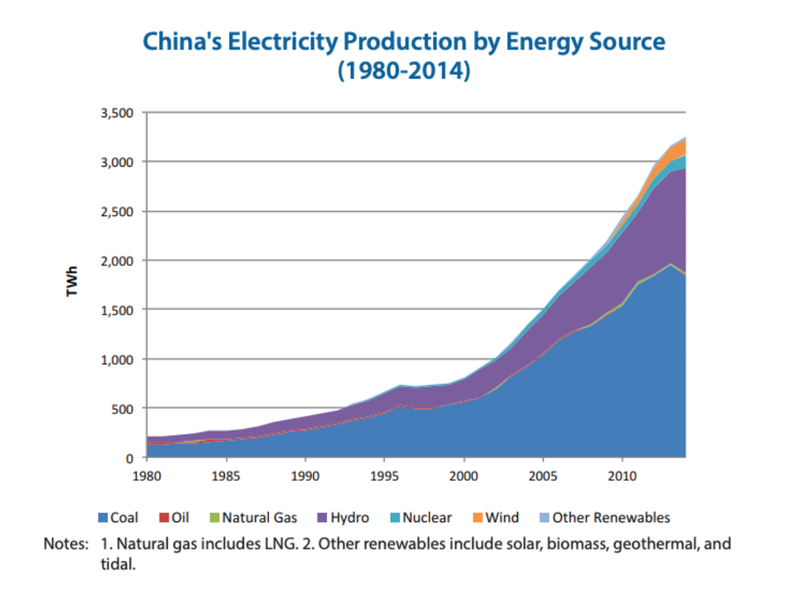 As of 2014, China was producing just over 3,000 TWh of electricity annually. Coal’s total and relative contribution was already declining. What’s happened since then and where’s it going? 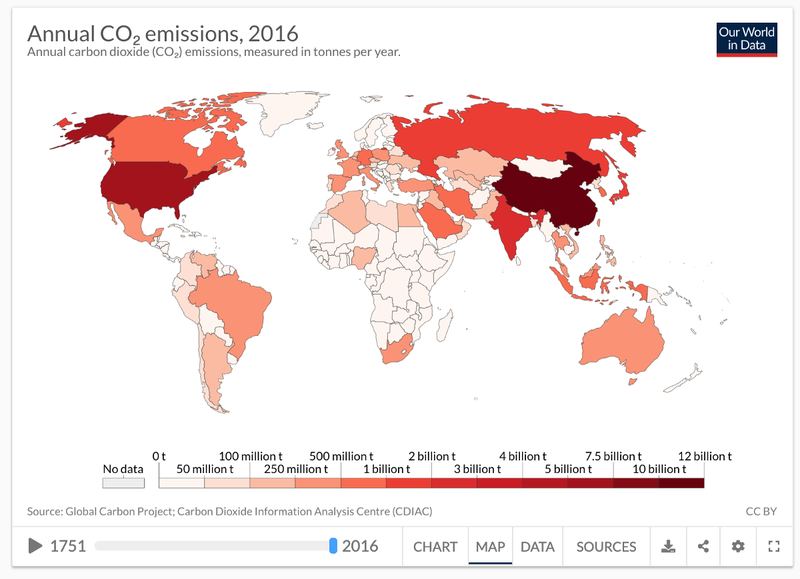 I recently published an article on China’s low-carbon mix and it’s worth bringing in the chart I developed for that piece that projects out through 2030. How is China doing? How about generating TWh more electricity from clean sources than the USA? 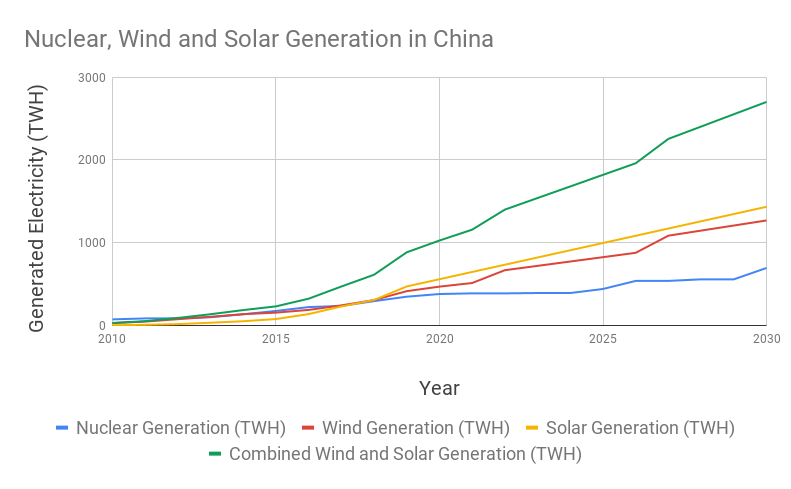 China is on track to exceed its entire 2010 generation in TWh from low-carbon sources only by 2030, undoubtedly allow a lot more coal to go away. It’s been hammering in wind and solar so fast that it exceeded total US deployment in under six months of construction last year. And while it has, sensibly, slowed its nuclear deployment, it still has a lot of TWh of low carbon electricity coming from nuclear generation. But that’s not all. 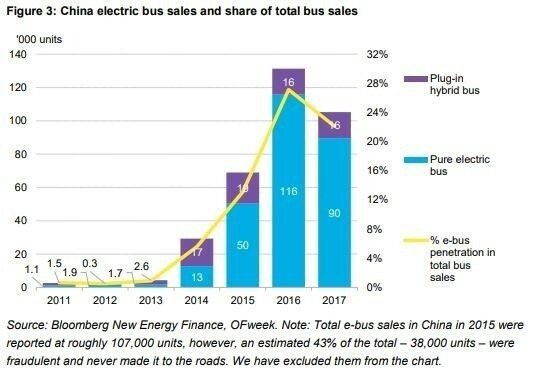 China deployed about 230,000 electric transit buses between 2016 and 2017. Meanwhile, Americans celebrate when New York gets six and has a goal of having a fully electric bus fleet by 2040. There’s a huge city over in China whose entire fleet of 16,000 buses is solely electric. 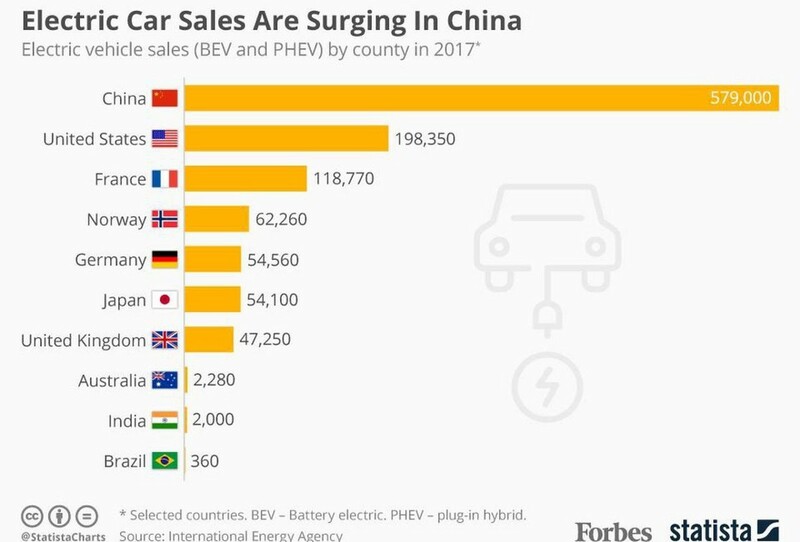 Oh, and look at this 2017 data on electric cars sales in China. In 2018, Chinese people bought over a million electric cars — basically as many as the rest of the world combined. And China is forcing all manufacturers, legacy and startups, to focus on electrification with strict policies. What exactly is the USA doing? Trying to dismiss Tesla as GM and Ford abandon cars to sell more trucks with gas and diesel engines, mostly. And of course the USA has elected a climate change-denying, conspiracy theorist who is trying to bring coal back. Okay, it’s not all doom and gloom. 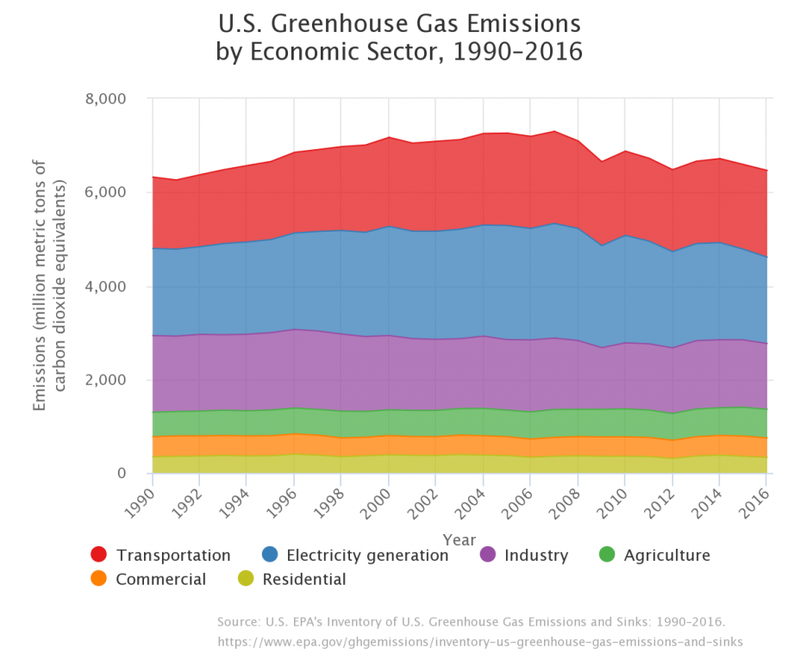 Mostly due to adoption of efficiency measures and a lot of manufacturing moving offshore, the USA has bent its CO2 emissions curves and is emitting less than it was. But it’s still emitting more than it was in 1990, is the second biggest emitter of CO2 in the world, one of the biggest per capita, and has an administration which is actively hostile to global warming at present. And, oh yeah, under President Trump, US emissions are rising again. Is America to blame for global warming? Yes, it has the single biggest slice of that ugly pie. It’s not alone in the blame, but you have to put the entire EU together to find someone that’s in the same ballpark of shame. And you know what’s really scary about all of the above? 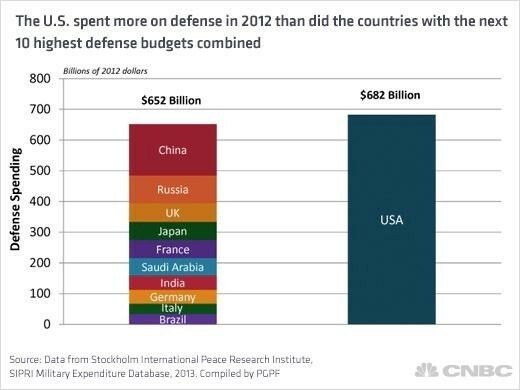 It excludes the US military, which is almost entirely run on fossil fuels and is bigger than the next 10 militaries put together. Military emissions were excluded from the Kyoto Protocol, so they’ve never had to report them. They were required to start reporting after the Paris Accord, but crickets on that count, especially with the Commander in Chief walking away from climate change action. Some analysts have suggested that the US military is the single biggest CO2 source in the entire world, and that’s possible actually. But what it really means is that the USA is actually even worse than the charts above show. Good Americans, and there are a lot of them, get this and are striving to fix it. Bad Americans, and there are a lot of them, look at the data above and say, “To heck with the people all over the world we’ve screwed over. 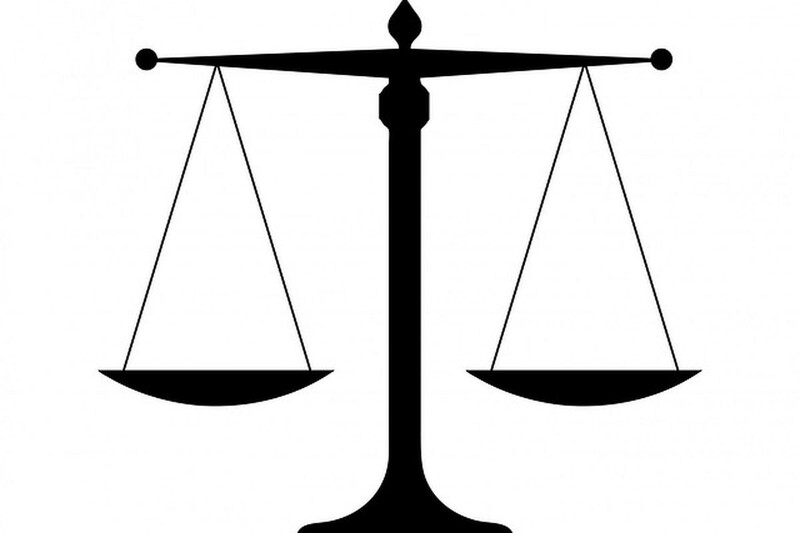 I’m not going to pay for the messes we made in the past.” Since the Libertarian perspective is that harm should be legally sued for retrospectively, it’s pretty much ripe hypocrisy that they are against paying reparations for their past actions. America. Americans. You can do better. And you have an opportunity in 2020. Don’t screw it up, as you did the last time.